15-09-2008 15-09-2013: quinto anniversario fallimento Lehman Brothers. 15-09-2008 15-09-2013: fifth anniversary Lehman Brothers bankruptcy. Proteste per il fallimento della Lehman Brothers. 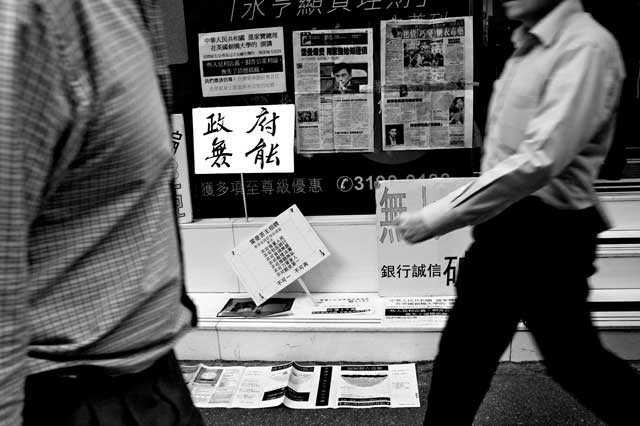 La foto è stata scattata ad Hong Kong nella primavera del 2009. Hong Kong_Lehman Brothers bankruptcy victims protesting in front of a local bank. Spring 2009.